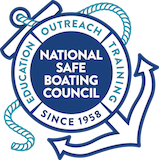 Prepare the boat by scheduling a vessel safety check prior to the boating season with local U.S. Coast Guard Auxiliary or U.S. Power Squadrons. Know the latest marine weather forecast prior to going out, and keep a regular check for changing conditions. 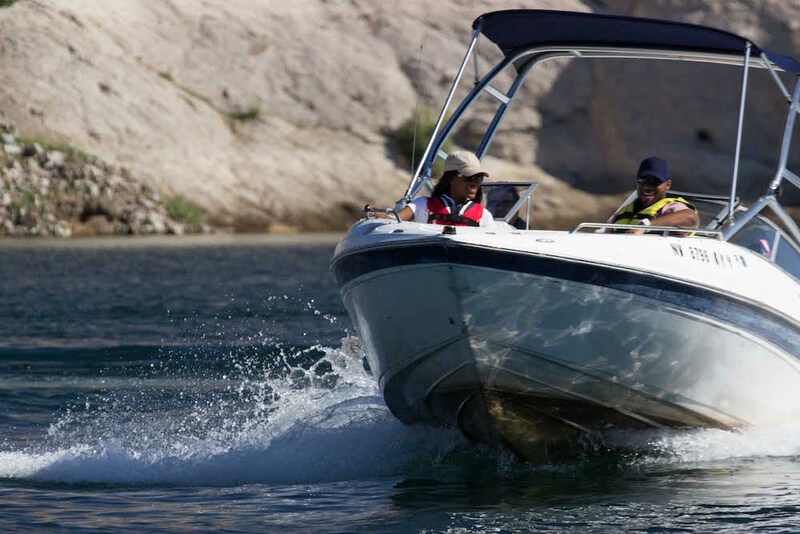 File a float plan with someone trusted back on dry land that includes details about the trip, boat, passengers, towing or trailer vehicle, communication equipment, and emergency contacts. Find out more at floatplancentral.org. Know the boat’s capacity. If there are more passengers on the boat than it was designed to handle, the boat may become unstable and capsize. Keep in touch. Satellite phones, emergency position indicating radio beacons (EPIRB), VHF-DSC (digital selective calling) marine radios and personal locator beacons can all contribute in an emergency. Don’t panic if the boat operator or a passenger falls into the water. They must remember to stay afloat with the help of their life jacket, regain control of their breathing, keep their head above water in vision of rescuers, and stay with the boat if possible.